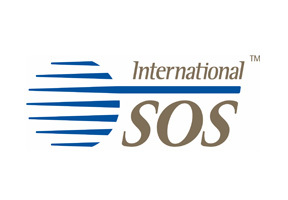 Started in 1985 as AEA International, International SOS is a truly local Asian insurer. Originally serving Indonesia and Singapore, International SOS now has offices all over Asia and Oceania. Operating under the mantra of “Worldwide Reach, Human Touch”, International SOS set itself the challenge of offering individual, family, and group medical insurance coverage that exceeds some of the most inclusive socialized health plans worldwide, from locations such as Hong Kong, Japan and Australia. International SOS has not only competed but continually exceeds the level of care offered by subsidized coverage arrangements and remains cost competitive with the other insurers in the region. The level of care afforded by an International SOS plan is not the only thing that sets them apart from many competitors. International SOS saw the need for quality healthcare facilities in many locations that tend to be very underserved by the private medical industry and now operates in many clinics, treatment centers and hospitals, which all feature modern, high-quality medical care in locations around the world. In addition to their own healthcare facilities, International SOS also features a huge partnership network of providers to ensure that all their policyholder's are able to access quality medical attention wherever they go. Finally, International SOS operates the most prolific and widely trusted air-ambulance and emergency evacuation service worldwide, with many other insurers even relying on contracts with International SOS for their services when this type of coverage is purchased as a policy option. To see how health insurance coverage from International SOS compares to the many other options offered in Malaysia, talk to one of our expert advisers. Malaysia Health Insurance has worked for years to compile a huge database of coverage information and is happy to share it with you to help you make a confident decision to meet the needs of you and your family. To reach us, just complete the information request found at the top of this page or for immediate help, click here to talk to an adviser now.